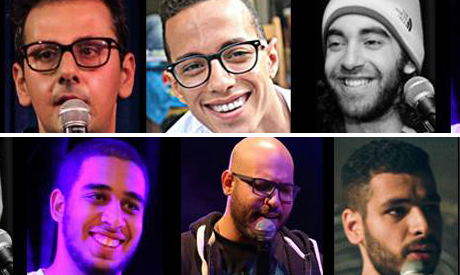 El-Hezb El-Comedy will present a night of stand-up comedy at the new branch of Elbet Alwan (3elbt Alwan) in Maadi, 12 January. The evening will be hosted by Mina Selim who will present the lineup featuring Mohammed Morgan, Taha Desouky, Mohamed Katmcho and Omar Kintaki. El-Hezb El-Comedy functions as a platform for comedians, uniting them in a market relatively young in Egypt. Launched in August 2011 by Hashem El-Garhy, El-Hezb El-Comedy has become a local comedy troupe with a network of over 30 comedians dedicated to stand-up performances, sketches and musical comedy. In August 2014, El-Hezb El-Comedy presented its first international show, “Falafel, Houmous and Baba Ganoush,” at the Edinburgh Fringe Festival. Tickets available at the entrance of Elbet Alwan include access to the venue starting 10am, a drink, and movie of the day, in addition to the stand-up performance.